World Class Schools are lining up in the Capital Region. Recently Happy Valley School, from Goutham Groups has started its vast campus in Agiripalli. 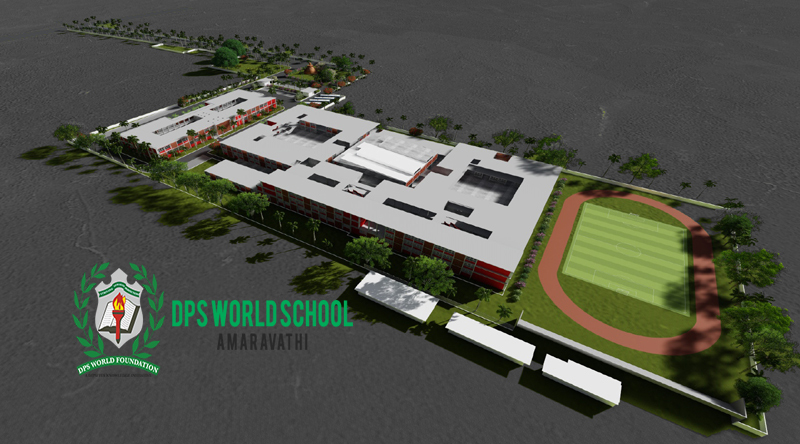 Now it is turn of DPS World School. It is going to coming adjacent to Rama Krishna Venuzla, near Nagarjuna University. Bhoomi Pooja is going to be help on April 2nd, and Salman Khurshid, Ex-External Affairs Central Minister, is going to participate.